A conversation that lingered in the background during most of my fieldwork period in La Chorrera was a traditional dance that was going to take place in one of the malocas located in the nearby communities. The particular characteristic of this event was that it was going to be a “pisada” dance (literally, a “step-over” dance). Uitoto communities celebrate this kind of dance as a way to inaugurate a new maloca (a religious and communal place of gathering). A maloca’s inauguration is always linked to the passing down of the tradition of building and taking care of this kind of construction. In this case, however, the “pisada” dance was planned for a new maloca built by an old abuelo that, instead of passing down the tradition to one of his heirs, decided to start all over with his own quest for knowledge and leadership. The reactions to this unorthodox proposal had varied tones, but amidst all the different critiques or expressions of support, a very important fact stood out to me about the requirements and implications of building a maloca: it is a heavy load for the leader in charge. And, contrary to the common place, that load is linked in a more meaningful way to practical rather than spiritual responsibilities. 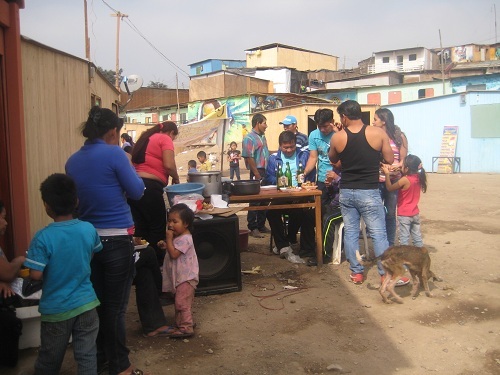 To be more clear, the religious practices depended in this case on the social ability and the economic capacity of the “maloquero” to actually bring together the community around the construction project and the constant maintenance duties that having a maloca entails. The practice of building malocas and houses is very similar when it comes to this constant need of maintenance. They both are made of the same materials: wood for the structure (and walls in the case of the houses) and puy leaves (Lepidocaryum tenue) for the roof. This means that, every five or six years, the roof needs to be changed entirely, because leaves start to fall or they break, leading to rainwater leaks. The structure needs to be renovated too in case it rots. Malocas and houses are inevitably built and rebuilt once and again, which means that they are not thought as long-lasting places for generations to come (like it might happen in the case of Western structures such as museums or other places of social interaction). In spite of the great significance of malocas as centers of cultural, political and religious activities, material structure is fleeting and it is not thought in terms of temporal permanence. It was a rainy Friday morning in San José del Guaviare when I boarded the old Douglas DC-3 that would take me to La Chorrera, in the Colombian Amazon region. The DC-3 is an American made cargo airplane, famous for its role during the Second World War. A member of the aircrew inaugurated our flight with the words “let’s go back in time, ladies and gentlemen!”, in a gesture of complicity with nervous passengers like me. He was clearly referring to the old aircraft we were in, but, looking at them in retrospective, his words also spoke about the nature of my fieldwork in La Chorrera. 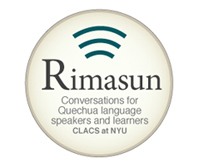 As a first year doctoral student at the Department of Media, Culture, and Communication at NYU, my research interests include state violence, official discourses and counter-discourses of memory in the context of endemic violence and war, as well as community based practices of memorialization and resilience. This Summer, I will be doing fieldwork in Colombia, with the intention of exploring the tensions between local and national discourses and projects of memorialization. Reflecting on collective memory goes beyond the historical reconstruction of violent events. It is, indeed, revisiting the past, but it is also understanding how that past is defined by its social functions in the present. In that sense, the old airplane was taking me in a journey to the past but also to a quest to understand the meaning of said past for the present inhabitants of La Chorrera. 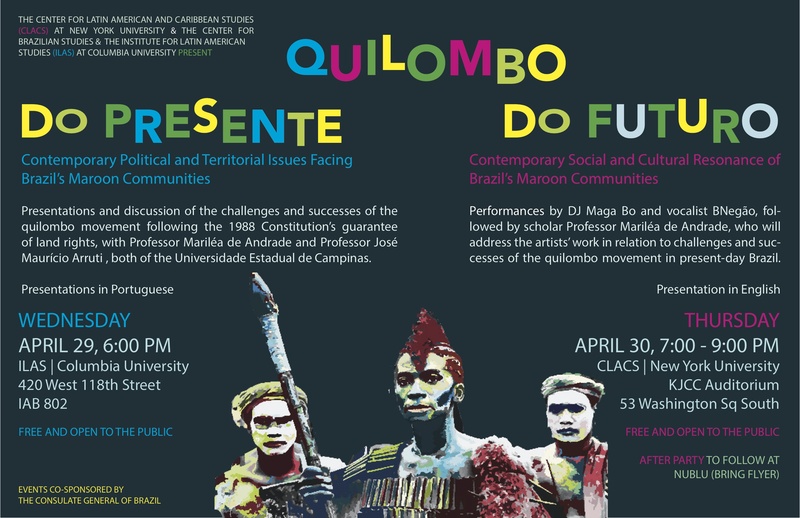 Tomorrow, Thursday April 30th, CLACS will be proud to host a series of events on Brazilian Quilombos, with a live performance by Rio de Janeiro’s Maga Bo and BNegão. 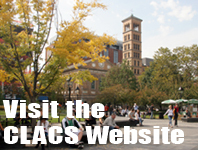 These two consecutive events are part of a larger series that focuses on the history, culture, and current affairs of the African Diaspora in the Americas. 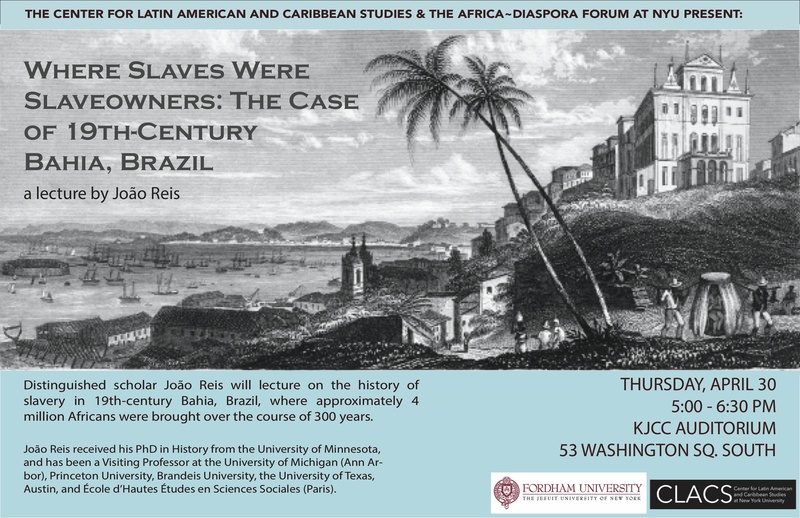 Born in Brazil, João José Reis received his PhD in History from the University of Minnesota. He has been a Visiting Professor at the University of Michigan (Ann Arbor), Princeton University, Brandeis University, the University of Texas (Austin), and École des Hautes Études en Sciences Sociales (Paris). Reis has also been a Research Fellow at the University of London, Center for Advanced Studies in Behavioral Sciences (Stanford), and the National Humanities Center. Currently he is a Professor of History at the Universidade Federal da Bahia. Reis’ books include Slave Rebellion in Brazil: the 1835 Muslim Revolt in Bahia (The Johns Hopkins University Press) and Death is a Festival: Funeral Rites and Rebellion in Nineteenth-Century Brazil (North Carolina Press), among others. This lecture is co-sponsored by the Africa Diaspora Forum at NYU and Fordham University. Later at 7pm, Maga Bo and BNegão will present “Quilombo do Futuro: The Contemporary Social and Cultural Resonance of Brazil’s Maroon Communities.” Their performance will use the notion of runaway slave communities as an onset for the interaction of traditional and contemporary music in the country. Runaway slave communities known as quilombos, were a fixture in Brazil during the colonial and early imperial eras. Even after emancipation in 1888, quilombos remained part of the Brazilian social and cultural landscape. Following the 1988 Constitution, which granted quilombo descendants land rights, they also became formally acknowledged communities with their own self-managed territories, a public recognition of a centuries-old settlement pattern. Today’s comunidades quilombolas serve as gathering points for current practitioners of Afro-Brazilian culture as well as reminders of Brazilian historical development. Maga Bo and BNegão will be joined by Professor Mariléa de Andrade (Universidade Estadual de Campinas) who will situate the artists’ work in a social context by addressing some of the contemporary challenges and successes of the quilombo movement in present-day Brazil. The globetrotting U.S.-born, Brazil-based Maga Bo cranks out music that’s often described as transnational bass. It’s just as heavy on the low-end as it is melodic in its use of traditional acoustic instrumentation and street recordings. With well over a decade of production experience from his mobile studio that he has set up all across Africa, South America, India, and Southeast Asia, Maga Bo has released genre-bending, mind-blowing albums on venerable labels like Tru Thoughts, Post World Industries, and Soot. He has worked and performed in over 40 countries including performances at WOMEX, Mundial and Transmediale. His latest project, record label and compilation series Kafundó, is bringing to light Brazilian bass music essentially unknown to outside its home country – an effort that earned praise from Vice Media. BNegão is a versatile vocalist and songwriter who was instrumental in Planet Hemp, one of Brazil’s pioneering hip-hop ensembles. He later struck out on his own to form BNegão & Os Seletores de Frequencia, something like a Brazilian Bad Brains — their albums jump from punk to dub to hip-hop to soul just like the DC band did back in the day. BNegão won the Orilaxé Prize for best black music singer in Brazil back in 2004. His band’s 2012 album, Sintoniza Lá, won the MTV Video Music Brasil award for best album. Later in 2012, he was part of the official Rio de Janeiro cultural delegation to the London Summer Olympic Games, where he performed in the closing ceremony in homage to the Afro-Brazilian musician Chico Science. He and his band are currently recording their third album. 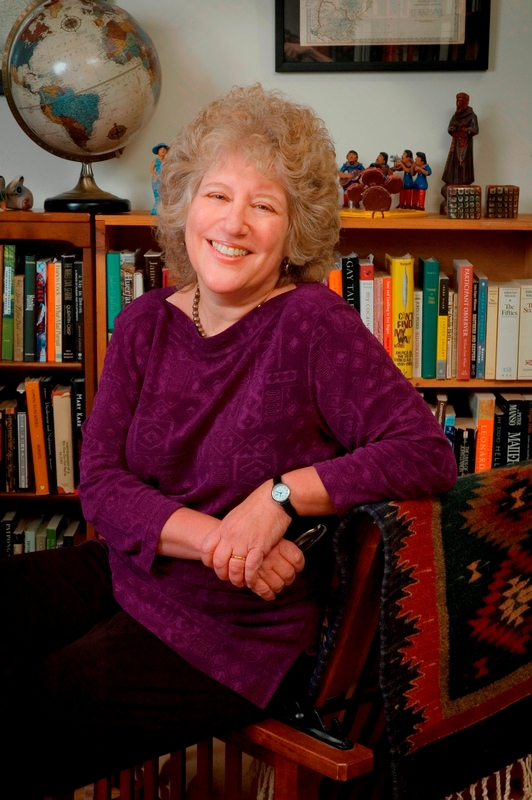 Barbara Weinstein, a CLACS affiliated Professor of History at NYU, was recently awarded the prestigious NYU Silver Professorship. Wienstein has taught at NYU since 2007, and previously taught at University of Maryland-College Park, the State University of New York at Stony Brook and Vanderbilt University. Her research has focused on 19th and 20th centruy Brazil, specifically around issues of gender, race, labor and political economy in São Paulo and the Amazon. … considers a period in Brazilian history when the state of São Paulo emerged as the nation’s dominant economic center and political force. Tracing elite and scholarly discourses in this period, she explores the way in which “paulistas” (natives of São Paulo), deploying highly racialized discourses, constructed a notion of São Paulo exceptionalism that produced a hierarchical, almost imperial view of the region’s position within the Brazilian nation. A principal objective of this research is to illuminate the processes by which modernity in Brazil became “racialized” and identified with “whiteness” even as elites proclaimed their nation to be a racial democracy. NYU Professors Andrew Caplin, Paul Glimcher, and Béatrice Longuenesse were also awarded Silver Professorships. Barbara Weinstein is currently a fellow at the Radcliffe Institute in Cambridge, MA., and has won numerous awards including the John Simon Guggenheim Memorial Foundation.